When I was younger and more foolish I made a list of predictions for the coming year. It was in the late ’80s and my late great friend, Captain Haggerty was organizing a new year’s publicity event around his dog training business and asked me if I wanted to take part. He was making predictions about what would be happening in the dog fancier’s world and displaying some of his dogs. I was to bellydance for the cameras and make some predictions about what would happen in the world at large. Most of my predictions did not transpire in that year, but in some permutation many of them became pivotal in future years. 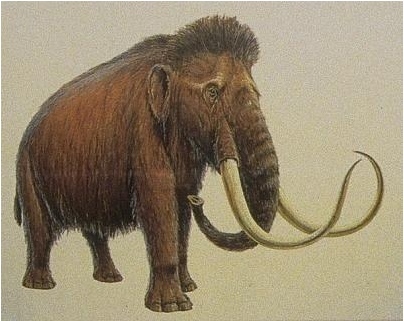 Last week I noticed in the news that Japanese scientists were actively working on recreating a mammoth from genetic material retrieved from the Siberian permafrost. I had predicted just that in the late ’80s. It is claimed that the mammoth will be born of an elephant surrogate mom by the end of the decade. The elephant is the closest surviving relative of the mammoth. Since the time I made that prediction, I have thought long and hard about the business of making predictions. I have noticed that predictions I’ve made often occur but seldom in the time frame I expected. Often people are looking for predictions about the personal lives of the rich and famous. I have no interest in that whatsoever. I am concerned that in making a specific public prediction one can change the course of events. Simply put, if I write that Mr. X will be killed and a sizable group of individuals read that and think about it, does that make it more likely that Mr. X will perish? I suspect it will. It will affect the collective mind of humanity. There is another reason I am not making a lot of predictions: my world view has become increasingly dark and I do not wish to infect others with my state of mind. I am not depressed, really, I’m actually fairly happy. It’s just that my “Weltanshauung” (world view) is very negative. What I have to say next is going to sound very politically partisan but in actuality it is not. I was very hopeful about the world until the day after the 2000 US Presidential election. I was never very politically active previous to this time. I was and am an active environmentalist. Yes, I admit it I am a treehugger. After “W” was elected it seemed as though the whole world went to hell in so many ways, both related to the election and not related to it at all, and it has not recovered. I will make only one prediction now, and it will be very general. The more you do to improve or save the environment, the happier your future will be; and conversely if you degrade the environment you can be sure the future will be awful for your old age and those that follow you. Sometimes I wonder how people (are they really humans?) can be anti-environmental. I do understand a certain shortsightedness on the part of those who might lose their incomes as sanctions are put into place which would cause them to lose their jobs. There is a fairly simple answer for this. They should be retrained for green jobs. There is lots of money to be made in renewable energy, for example, and this is just the beginning. It is a fantasy of mine that those who are politically active against the environment are reptilian alien shapeshifters who want the Earth to be turned into a hot awful wasteland so that they can immigrate their population from their wasted reptilian planet light years away and enslave the few remaining humans. In reality those belonging to the anti-environment group are probably simply greedy and rapacious sociopaths who don’t care a whit for anybody or anything beyond dying with the most toys.